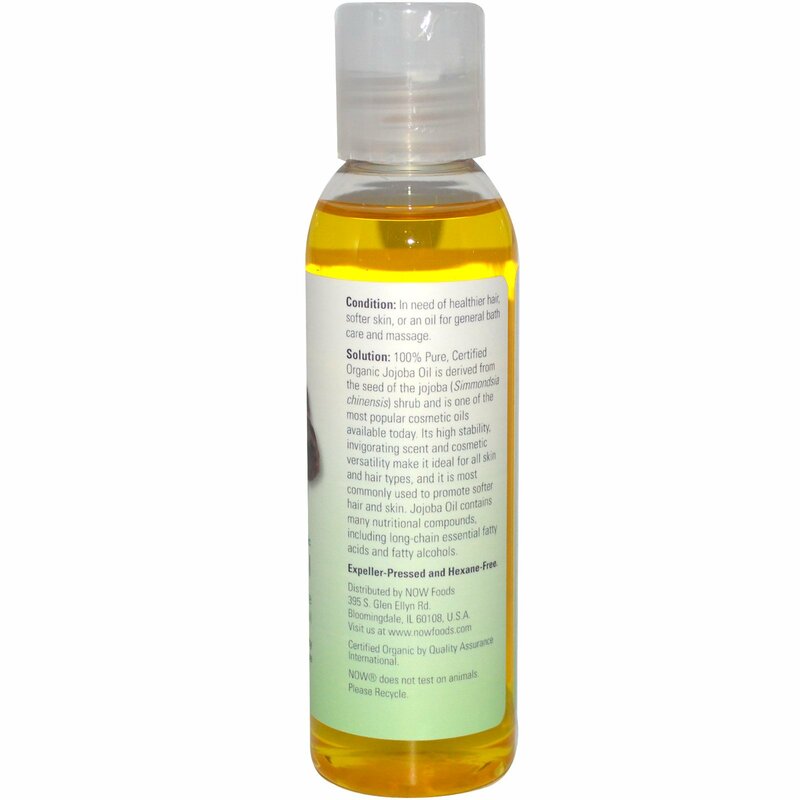 Solution: 100% Pure, Certified Organic Jojoba Oil is derived from the seed of the jojoba (Simmondsia chinensis) shrub and is one of the most popular cosmetic oils available today. Its high stability, invigorating scent and cosmetic versatility make it ideal for all skin and hair types, and it is most commonly used to promote softer hair and skin. 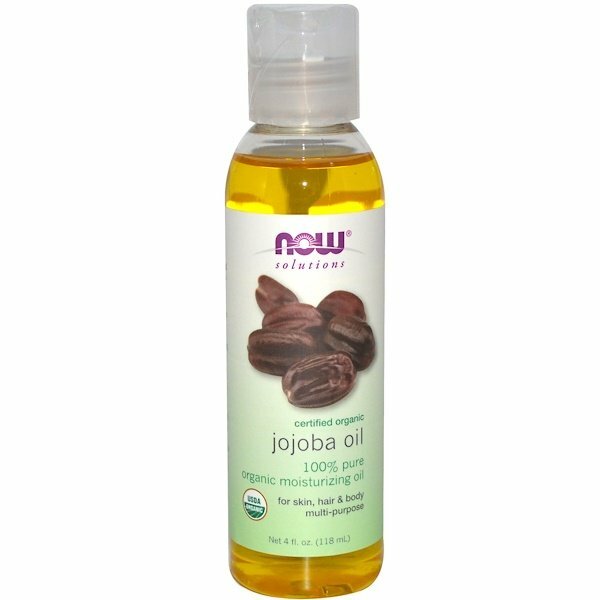 Jojoba Oil contains many nutritional compounds, including long-chain essential fatty acids and fatty alcohols. For healthy hair, add 1 tablespoon of 100% Pure, Organic Jojoba Oil to your favorite shampoo or conditioner. For deep pore cleansing and healthy skin, add 1 teaspoon to your bodywash, bath gel or other quality skin care products. NOW does not test on animals.